Kolkata (also known as Calcutta) is the capital of the Indian state of West Bengal. Located on the east bank of the Hooghly river, it is the principal commercial, cultural, and educational centre of East India, while the Port of Kolkata is India's oldest operating port as well as its sole major riverine port. As of 2011, the city had 4.5 million residents; the urban agglomeration, which comprises the city and its suburbs, was home to approximately 14.1 million, making it the third-most populous metropolitan area in India. In the late 17th century, the three villages that predated Kolkata were ruled by the Nawab of Bengal under Mughal suzerainty. After the Nawab granted the East India Company a trading license in 1690, the area was developed by the Company into an increasingly fortified mercantile base. Nawab Siraj ud-Daulah occupied Kolkata in 1756, and the East India Company retook it in the following year and by 1772 assumed full sovereignty. Under East India Company and later under the British Raj, Kolkata served as the capital of India until 1911, when its perceived geographical disadvantages, combined with growing nationalism in Bengal, led to a shift of the capital to New Delhi. The city was the centre of the Indian independence movement; it remains a hotbed of contemporary state politics. ...In Bengal the British, who had been trading there since 1650s, settled for Calcutta as their base around 1690. Here a collection of bungalows which looked like ‘thatched hovels’, a stables, a hospital, a barracks, and a powder magazine could all be found huddled next to the imposing Fort William. The three as yet unpromising settlements of Bombay, Madras, and Calcutta, were eventually to become the power centers of British rule in India. When Calcutta was attacked by Siraj ud-Daulah in 1756, the city was too valuable to abandon and a few months later Robert Clive retook Calcutta and defeated Siraj-ud-daulah at the Battle of Plassey. As we enter the town, a very expansive Square opens before us, with a large expanse of water in the middle, for the public use… The Square itself is composed of magnificent houses which render Calcutta not only the handsomest town in Asia but one of the finest in the world. Take your map of India, and find, if you can, a more uninviting spot than Calcutta. Placed in the burning plain of Bengal, on the largest delta of the world, amidst a network of sluggish, muddy streams, in the neighbourhood of the jungles and marshes of the Sunderbands, and yet so distant from the open sea as to miss the benefits of the breeze… it unites every condition of a perfectly unhealthy situation. The place is so bad by nature that human efforts could do little to make it worse. Sir George Trevelyan, in 1863. Quoted in Calcutta: Old and New by H.E.A. Cotton, edited by N.R.Ray, General Printers and Publishers Pvt. Ltd. Originally published 1909, Revised edition 1980, p 194. English translation from Bengali: Forgery, swindling and falsehood, these three make up Kolkata. 18th century saying quoted by Sumanta Banerjee in The World of Ramjan Ostagar, The Common Man of Old Calcutta, published in Calcutta – The Living City Vol I, Oxford University Press, paperback edition, 1995, p 82. Rudyard Kipling quoted by Geoffrey Moorhouse in Calcutta: the City Revisited, 1971, Penguin Books, p 31. To countless Indians, and for most people familiar with India, the singularly unique name Chowringhee immediately identifies with Calcutta. It represents the nearest equation in India to what Piccadilly is to London, Fifth Avenue to New York and the Champs Elysees to Paris. Nostalgic Londoners like to regard their Circus as the centre of the universe. Calcuttans are more reserved in their acclaim, although the fervour they display for their city is perhaps unmatched. Geoffrey Moorhouse in Calcutta: the City Revisited, 1971, Penguin Books, p 133. Calcutta, more than New Delhi, is the British-built city of India...In the building of Calcutta, known first as the city of palaces, and later as the second city of the British Empire, the British worked with immense confidence, not adopting the styles of Indian rulers, but setting down in India adaptations of the European classical styles as emblems of a conquering civilisation. But the imperial city, over 200 years of its development also became an Indian city…To me at the end of 1962, after some months of Indian small-town and district life, Calcutta gave me the immediate feel of the metropolis, with all the visual excitement of a metropolis… Twenty-six years later the grandeur of the British-built city… could still be seen in a ghostly way, because so little had been added since independence, so little had been added since 1962… The British had built Calcutta and given it their mark. And though the circumstances were fortuitous – when the British ceased to rule, the city began to die. V. S. Naipaul, in India: A Million Mutinies Now, 1990, Minerva, p 281-82.
stopped precariously in their tracks. Nirendranath Chakraborty in the poem Jesus of Calcutta translated from Bengali by Manish Nandy. Used by Corporation of Calcutta in an advertisement. Reproduced in The Common Man of Old Calcutta, published in Calcutta – The Living City Vol II, Oxford University Press, paperback edition, 1995, p 254. The vicissitudes of destiny had not completely obliterated so prestigious a heritage. Calcutta was still India’s artistic and intellectual beacon and its culture continued to be as alive and creative as ever, The hundreds of bookstalls of College Street were still laden with books – originl editions, pamphlets, great literary works, publications of every kind, in every English, as well as in the numerous Indian languages. Though the Bengalis now costituted barely half of the city’s working population, there was no doubt that Calcutta produced more writers than Paris and Rome combined, more literary reviews than London and New York, more cinemas than New Delhi, and more publishers than the rest of the country, Every evening its theatres put on several theatrical productions, countless classical concerts and recitals at which everyone, from a universally renowned sitarist like Ravi Shankar to the humblest of flute or tabla players, was united with the popular audiences before whom they performed in the same love of music. Dominique Lapierre in The City of Joy, translated from French by Kathryn Spink, 1985, Arrow Books, p 37-38. The New Howrah Bridge was re-christened as the Rabindra Setu in the year 1965, in the honour of the country's first Nobel laureate Gurudev Rabindra Nath Tagore. Bullock carts formed the eight - thirteenths of the vehicular traffic (as observed on 27th of August 1906, the heaviest day's traffic observed in the port of Commissioners" 16 day's Census of the vehicular traffic across the existing bridge). The road way on the existing bridge is 48 feet wide except at the shore spans where it is only 43 feet in road ways, each 21 feet 6 inches wide. The roadway on the new bridge would be wide enough to take at least two lines of vehicular traffic and one line of trams in each direction and two roadways each 30 feet wide, giving a total width of 60 feet of road way which are quite sufficient for this purpose.... The traffic across the existing floating bridge Calcutta & Howrah is very heavy and it is obvious if the new bridge is to be on the same site as the existing bridge, then unless a temporary bridge is provided, there will be serious interruptions to the traffic while existing bridge is being moved to one side to allow the new bridge to be erected on the same site as the present bridge. The Commissioners of Port of Calcutta, in "A Flashback: The Seamless Bonds of Time". Calcutta's the only city I know where you are actively encouraged to stop strangers at random for a quick chat. Kolkata is a great city, has great food and great people. We had some problems finding the kind of old buildings we were looking for, and even handling the crowds, but on the whole it was fun shooting there. H.S. Suhrawardy, the Chief Minister of Bengal and a major Muslim leaguer in Calcutta, was “appalingly negligent …perhaps…even deliberately provocative” in the early stages of killing. Each group blamed the other for the violence. Jinnah blamed the “Viceroy, Mr. Gandhi, and the Congress”. 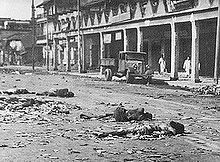 Nehru placed the responsibility “for all that has happened” in Calcutta on the Muslim League. Gandhi however, believed, that blaming others would never resolve the conflict. As a staygarhi, he asserted that separatism and hatred within each person led to violence. He therfere held every one in Calcutta responsible for the rioting. He admonished all to ‘turn search lights inwards” and to ses that the street criminals directly responsible for most of the violence, the goondas, were a reflection of the goomdaism within every Hindu, Mulsim and Sikh. I want to touch the hearts of those who are behind the goondas. Even while repudiating his method and efficacy, the one question in people’s mind would be, How is Gandhiji?...University students...would say...one thing stuck them as curious, after all, if anybody had to suffer for the continued killing and betrayal in the city, it was not Gandhi. He had taken no part in it. So while others were engaged in crime, it was he who had to suffer like this. Women in Calcutta stopped eating during his fast. Police officers,- Hindus, Muslims, and Christians, Indians and British, fasted for twenty-four hours in solidarity with God, By September 3, the rioting had ceased. On September 4, a group of leaders from all faiths came together and promised they would give their lives for continued peace and communal harmony in Calcutta. Gandhiji has achieved many things, but in my considered opinion there has been nothing, not even independence, which so truly wonderful as his victory over evil in Calcutta. In the Punjab we have 55,000 soldiers and large scale rioting in our hands. In Bengal our forces consist of one man, and there is no rioting. He had in fact worked a miracle, perhaps the greatest in modern times. This page was last edited on 6 December 2017, at 03:57.